Home › Uncategorized › The Collector: SB 1029 Passes Senate! The Collector: SB 1029 Passes Senate! Yes! SB 1029 — Senator McGuire’s Great Redwood Trail Act — has passed the California Senate, and been introduced in the State Assembly. Let’s keep our fingers crossed that it sails as smoothly through the Assembly! 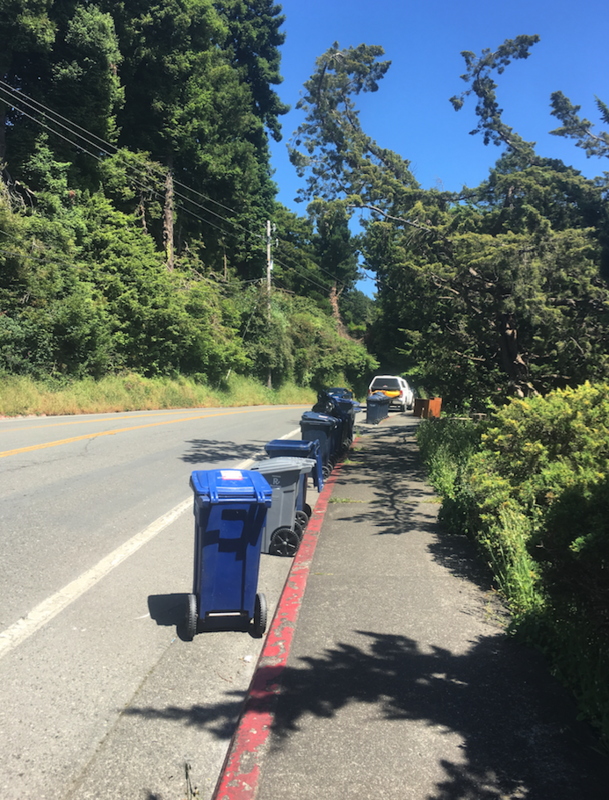 How many trash cans can block a bike lane? Local “scientists” on Bayview drive are conducting an experiment. Despite the fact that it’s horrible for the planet. Here at the CRTP, we have advocated for increasing the housing supply on the North Coast as a way of tackling the housing affordability crisis. The Arcata city council is set to discuss ”The Village” — a potential 700 bed project that could go a long way to supplying students with more housing options. ← The Collector: Get Yer Bike Maps! !